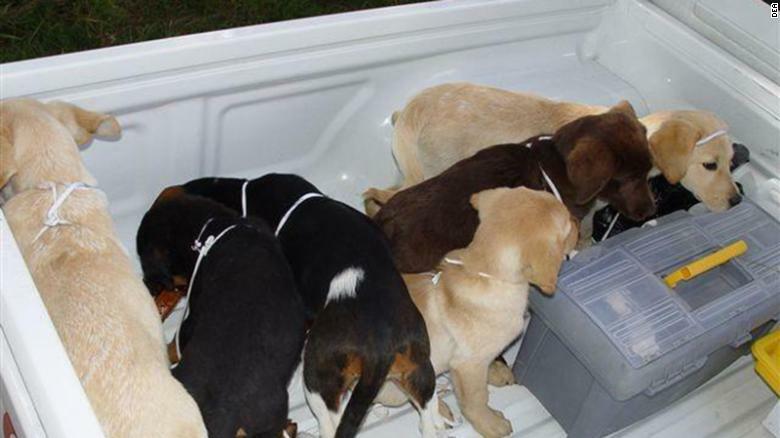 A Colombian former veterinary student was sentenced to six years in prison by a United States federal court Thursday for smuggling liquid heroin in puppies. Between September 2004 and January 2005, Andres Lopez Elorez, now 39, surgically implanted bags of liquid heroin into nine puppies he secretly raised for importation into the US on behalf of a drug-trafficking organization. On New Year’s Day in 2005, police raided the farm in the Colombian city of Medellin where the dogs were raised and found 17 bags of liquid heroin. Ten of these were removed from puppies, three of which later died after contracting a virus due to the surgery. Colombian authorities found puppies being used to smuggle liquid heroin at a farm in Medellin, Colombia. Elorez went on the run and remained a fugitive until he was arrested in Spain in 2015. Last May, he was extradited to the United States, where he pleaded guilty to the charges. “I did this even though I knew I was doing wrong and I was committing a crime,” Elorez said during a plea hearing, according to CNN affiliate WABC. Elorez will be extradited back to Colombia once he is released from jail. “Every dog has its day, and with today’s sentence Elorez has been held responsible,” US attorney Richard Donoghue said during the sentencing in Brooklyn, New York.